The United States of America has officially repealed rules that governed the way net providers treated the data that travelled across their networks. The net neutrality rules said companies had to treat all data equally. Enacted in 2015, the rules sought to stop providers giving preferential treatment to sites and services that paid them to accelerate their data. And critics fear repealing them may see consumers charged extra for anything more than the most basic service. 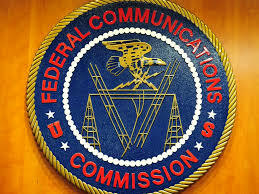 Public protests greeted the Federal Communications Commission's plan to end use of the rules, with many saying it could have an impact on free speech. But, in December, the FCC voted to repeal the rules. And the regulations expired on Monday. Ajit Pai, who chairs the FCC, was known to oppose net neutrality and in the past had said it was a brake on innovation. In an opinion piece published on CNET, Mr Pai in the many years of net growth before the neutrality rules "Facebook, Amazon, and Google went from small start-ups to global tech giants". "America's internet economy became the envy in the world," he said. Repealing the rules would be good for consumers, he added, because it would lift regulations that stopped some telecoms companies investing. Net neutrality looks set to live on in piecemeal form as some US states are enacting legislation that will require telecoms companies operating in their territories to abide by similar laws. Washington's law on treating data equally went into force as the federal rules expired. And three other states, California, New York and Illinois, plan to pass their own versions soon. In addition, the FCC is facing legal challenges from consumer rights groups and some state attorneys general over its decision. The US Congress also plans to debate a motion to overturn the FCC decision.